Geovarn goes beyond carving his own niche in the scene but instead broadens the musical palette of R&B itself. Having previously released records such as ‘Say Now’ via Epic Records, ‘Don’t Lie’ and the well-received ‘Warming Up’, the producer, rapper and singer brings his high-flying vocals to an unconventional mix of R&B, Soul and Grime for new record ‘Skeng’ – and boy does it work! Kicking in with a looped string synth and deep off-beat drum pattern, worthy of the hardest of grime emcees, Geovarn touches mic with an unexpected pitch-perfect, melodic voice and flawless flow. 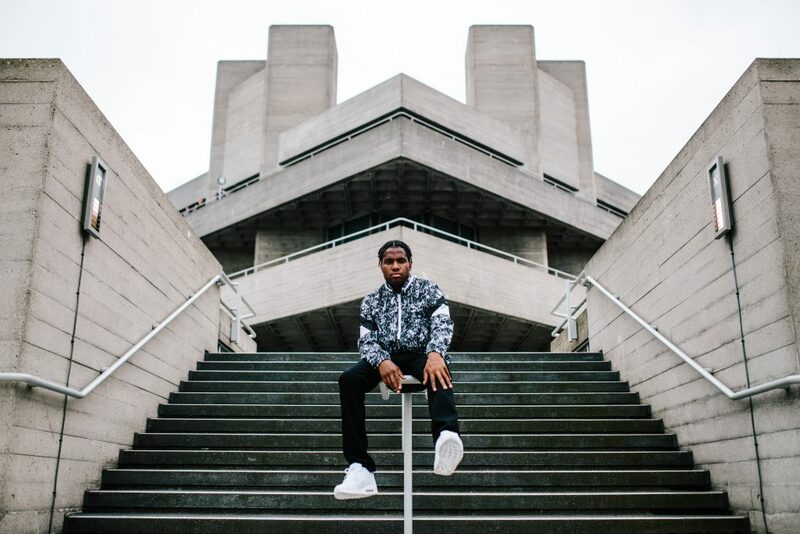 Playful on the beat, his bountiful soulful tone comes in juxtaposition to his lyrical content and subject matter, which is laced with the raw and unapologetic reality that is true to grime and Geovarn himself. Whilst displaying an elegant and seductive vocal, the Tottenham native remains lyrically hard, edgy and uncompromising in truth, something which has been his solace since finding music to be his saviour from the world of gang culture that he found himself spiralling in to in his teens. Having spent his early years as an artist finding his feet and trying to pursue a formula by pigeonholing his sound, Geovarn soon taught himself to embrace and enjoy music on a much wider spectrum. Drawing on influence from his upbringing, to the cultures and activity surrounding him, his output became experimental, diverse and exciting, leading him to win the attention of gatekeepers such as Complex, MOBO, MTV, Mistajam, DJ Target and Charlie Sloth. As he leads in to his latest release ‘Skeng’, Geovarn is freshly crowned as the ‘Best New Music Act’, having recently won the category at this years IARA Awards. He boasts an impressive 5 million streams over on Spotify and ‘Skeng’ itself made its debut live at the BBC Radio 1Xtra Stage at Reading & Leeds, displaying the demand he has acquired during his noteworthy rise to date. “I was literally chillin in the studio with my cousin Shailan and decided to try a grime tempo track just for fun, I mean the rapper on the chorus wasn’t even meant to be in the session and that’s my favourite part! It’s crazy how bangers come when you least expect them”.